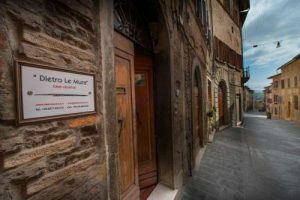 Holiday home La Quercia Accommodation. 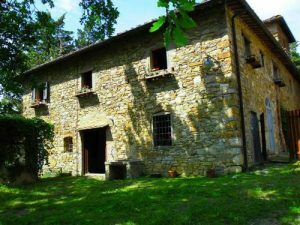 This is a very charming traditional Tuscan farmhouse near Panzano in the heart of the beautiful Chianti Classico area. Set in the Conca d Oro between Siena and Florence nearby the famous panoramic Chiantigiana route. The house is situated at the end of a path boarded by cypress trees and along which you ll find several farmhouses still belonging to the very ancient family property. some dating from the late middle ages. The property is surrounded by many acres of vine yards. olivetrees and 10 acres of forest.At one and a half km you ll find the cute little village with its newspapers. bank. grocery stores and restaurants and with its casle and very old Roman church and with the famous butcher where people come from far to taste the great sandwiches prepared on the spot. You re only at 6 km from Greve in Chianti and many other famous spots. the Tuscan experience can t be missed from this position since you re right in the middle of it all the food the wine. the hills. the views and the culture all at hand. In compliance with the owner. it is possible to make use of the swimming pool which is located at the B&B 300 m from the home. Offering a sauna and hammam, Residenza Le Versegge is situated in Braccagni in the Tuscany Region, 43 km from Saturnia. Bagno Vignoni is 45 km from the property. Free WiFi is featured . All Accommodation units include a seating area. Some units have a dining area and/or balcony. There is also a kitchen in some of the units, equipped with a dishwasher. There is a private bathroom with free toiletries in every unit. Free private parking is available at the country house. Residenza Le Versegge also includes a seasonal outdoor pool. Guests can enjoy the on-site restaurant. Bike hire is available at the property and the area is popular for cycling. Grosseto is 16 km from Residenza Le Versegge. Marina di Campo Airport is 71 km away. This property is also rated for the best value in Braccagni! Guests are getting more for their money when compared to other properties in this city. 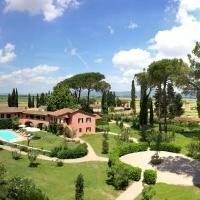 Take A Break Holidays takeabreakholiday, Tuscany Accommodation. San Francisco De Asis, Urb Marina, San Fulgencio, 03177, Alicante, Spain.